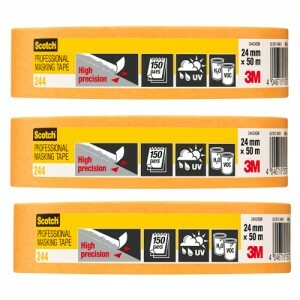 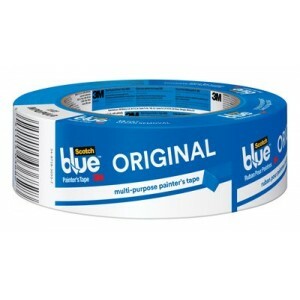 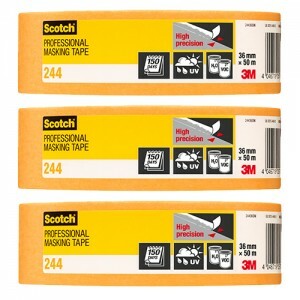 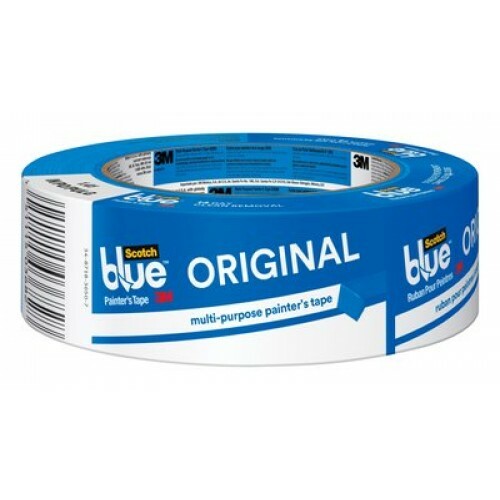 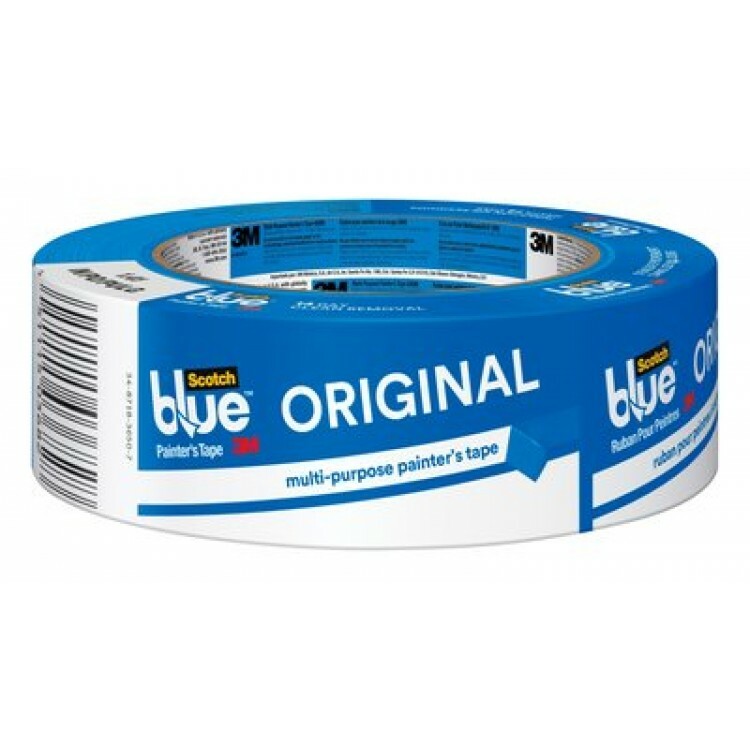 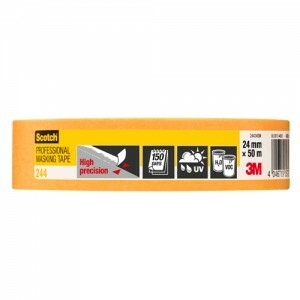 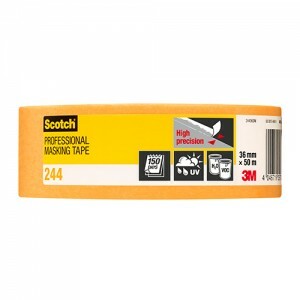 3M Scotch Blue Painters Tape 2"
It delivers sharp paint lines and can be used on a variety of surfaces, such as walls, trim, glass and metal. 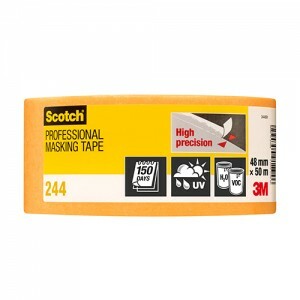 It removes cleanly for up to 14 days and does not cause surface damage, even when exposed to direct sunlight. 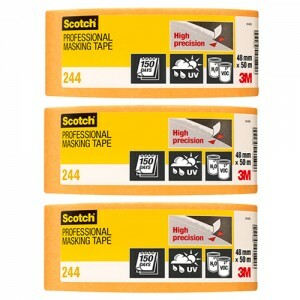 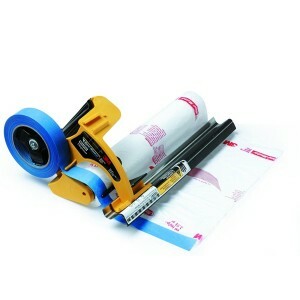 3M Hand Masker M3000 Starter Pack Kit Includes: 1 x M3000 Dispenser, 1 x 12" Film Blade, ..
3M Scotch Blue Painters Tape 1"
3M Scotch Blue Painters Tape Width: 24mm/ 1 inch Roll Length: 54.8m Feaures: - Use on Wo..
3M Scotch Blue Painters Tape 1.5"
3M Scotch Blue Painters Tape Width: 36mm/ 1.5inch Roll Length: 54.8m Feaures: - Use on W..
3M Scotch Gold High Precision Tape 1"
3M Scotch Gold High Precision Tape Width: 24mm/ 1 inch Roll Length: 50m Feaures: • Versa..
3M Scotch Gold High Precision Tape Width: 24mm/ 1 inch Roll Length: 50m Pack Of 3 Feaure..
3M Scotch Gold High Precision Tape 1.5"
3M Scotch Gold High Precision Tape Width: 36mm/ 1.5 inch Roll Length: 50m Feaures: • Ver..
3M Scotch Gold High Precision Tape Width: 36mm/ 1.5 inch Roll Length: 50m 3 Pack Feaures..
3M Scotch Gold High Precision Tape 2"
3M Scotch Gold High Precision Tape Width: 48mm/ 2 inch Roll Length: 50m Feaures: • Versa..